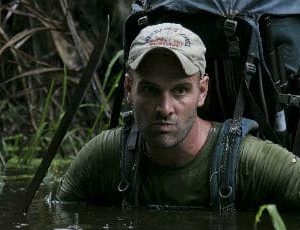 John Sullivan - Explorer, Survivalist & Inspirational Speaker. 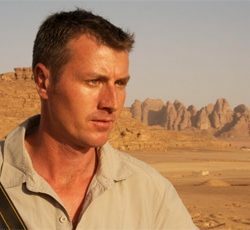 A former Royal Marine, John Sullivan has a deep passion for exploring the most remote areas of the world. He uses his experiences as an adventurer and survivalist to inspire audiences to overcome adversity, think creatively, and have the courage to be themselves. John Sullivan is a former Royal Marines Commando with nine years’ experience. He has operated in some of the world’s most challenging environments, from jungle to desert to Arctic. His great passion in life is to explore the world with a sense of purpose. This passion has taken him to some of the most remote areas of the world – both on his own and to research and set up documentaries for the BBC and National Geographic Channel. In addition to this he has led numerous life-changing conservation expeditions for young people to Namibia, Belize and Borneo. As advisor to the BBC, Channel 5 and National Geographic Channel, John has excelled in the realm of freelance consultancy. He has remarkable first-hand knowledge of many of the remotest regions of the world and has spent years developing unique networks of in-country contacts – often local tribes. He uses these contacts to advise media groups and expedition leaders on how to deal with the cultures and natural environments of the countries they plan to explore. John is in high demand from top TV companies, his talent for dealing with inhospitable conditions making him uniquely qualified for TV ‘groundwork’ and preparation. The BBC hired him to make all in-country arrangements for Last Man Standing and Extreme Dreams, and he executed a similar brief for Channel 5 for the programme Unbreakables. More recently, John prepared all the pre-shoot arrangements in Papua New Guinea for the National Geographic Channel’s documentary Eating with Cannibals. John loves nothing more than passing on his passion for the natural world, the wilderness and the peoples of the most remote regions of the planet. He brings his amazing experiences to audiences across the board: from schools to boardrooms. He is a master storyteller who takes his audiences on a journey of adventure, suspense and discovery, bringing together a wealth of personal experiences, failures and successes, his appreciation of research, preparation, teamwork and leadership, his ability to make hard decisions, his belief and trust in the talents and abilities of others, and the joys of discovery and meeting new people. 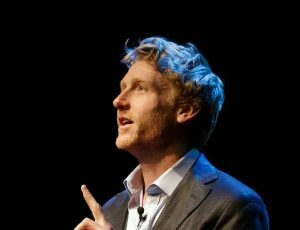 John brings to his talks a wonderful sense of humour and he invariably inspires his audiences to reflect upon and evaluate their own professional and personal experiences. He helps us not to fear change or adversity, to learn that they are part of life, and that being a victim is a matter of choice. Creative Thinking & Risk Taking – How a quick, agile mind can help us out of a challenging situation. Self-Discipline & Preparation – How getting into the habit of carrying out small routine tasks helps avoid problems in the future. Overcoming Adversity – There’s nothing like a period of sustained tropical isolation to appreciate how ‘stickability’ will always see you through. Leadership & Fostering Morale – Learning to accommodate different character types with the group – making each one feel valued. Embracing Change – Learning how change is not to be feared but welcomed – change can be a genuine life-enhancing experience. Appreciation of the Environment and Natural Resources – Following his experiences with the tribes of Borneo and Papua New Guinea, John has gained a unique perspective on the urgent issues facing our planet. He has unbounded admiration for the way in which remote tribes cherish each and every element of their surroundings. The Courage to Be Yourself – John has learned how it only takes a few steps along a path of your choosing to gain a winning mentality, unbeatable confidence and self-esteem.